Esso is currently offering double Clubcard points at all garages which accept Clubcard points. This attractive deals runs until December 22nd. These rates are currently doubled for the next three weeks. When doubled, you will not get a better deal at a Tesco-branded garage. Those earn 1 Clubcard point for every £2 spent. If you have a Tesco credit card and use it as a Clubcard you receive 1 point for every £1 spent – the best deal of all. 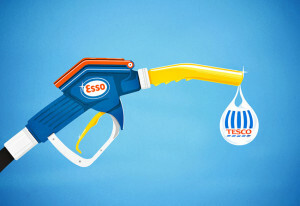 You can learn about the Esso and Tesco partnership on the Esso website.